Enjoy this house with all modern conveniences, swimming pool and close to several tourist sites. 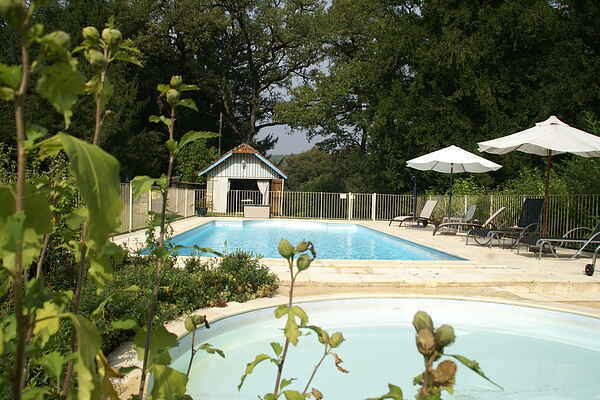 Here, you are on the border of three departments: Lot-et-Garonne, Lot and Dordogne. You can lounge by the enclosed swimming pool and take a dip in the main pool. The littlest ones also have their own swimming pool, a small pool where they can paddle in safety. The friendly owner and his wife also occasionally enjoy the swimming pools, when you are not there. You also have a summer kitchen to prepare your meals outdoors and enjoy them at the table near the pools. Children have an embarrassment of choice to entertain themselves, from table tennis, the lawn and toys for the littlest ones. For your shopping, you have a bakery in Sauveterre (2km) and a large supermarket in Fumel (15km) where you will find everything you need. Around the property are activities not to be missed. Roam the forest, by bike or on foot, thanks to several hiking trails. Hire a canoe and spend a day exploring the Dordogne river. If you like cultural sites, do not miss the medieval villages of Monpazier and Frayssinet-le-Gélat (both 20km away) to just mention them. The medieval castles of Bonaguil and Biron (both 7km away) also await you. You are also only a few hundred yards from renowned tourist sites of the Dordogne such as Castelnaud-la-Chapelle, Beynac-et-Cazenac, or even Sarlat, Domme and Roque-Gageac.